In 2008, Tickets There had the most horrible test of endurance we’d ever faced. Because of our combined love for Def Leppard and KISS, we put ourselves in a position that involved watching eighties hair metal love gods, Whitesnake, five times within the space of two weeks. Does it get any worse? The first encounter came in Holland. Whitesnake took the stage and we moved within range to get a peak of what was to come over the next few days. Honestly, wasn’t that bad. Is This Love and Here I Go Again put a smile on our faces and hell, some of the unfamiliar songs were even catchy. Alright, could have been worse but four more times? A week later TT was in Birmingham and so were the Snake. The Holland experience was a festival so there were escapes available but this was an indoor show, so there was no avoiding them. They came on stage, all white shirts, leather, big hair, full of energy and, well, kind of rocked the place. We recognized alot of the set from Holland and tracks like Still of Night, Bad Boys and Ain’t No Love were beginning to drill their way into TT’s mind. After two more shows in Manchester and Sheffield we were hooked and by the time the last gig in Newcastle came round, we were firm fans. Whitesnake had not only pacified us, they’d turned us into fully fledged devotees and we’ve loved them ever since. When last year’s Def Leppard Dublin show was announced, we nearly wet ourselves with excitement, but when we realized Whitesnake were playing aswell, there was no nearly about it. 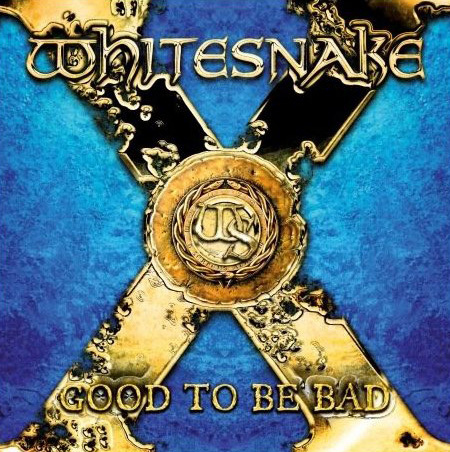 Good to be Bad had just been released a few months before the 2008 tour and the band didn’t shy away from playing almost half of it in their shows. Why would they, it’s a bloody classic! Live highlights such as Best years, Can You Hear The Wind Blow, Good to be Bad and Lay Down Your Love sound as strong on record as they did when Mr. Coverdale, and co were in the same room blasting them out. Hard, blues arena rock at its best. Best Years was the show opener for most of the gigs so hearing it again is a welcoming dose of nostalgia and happy memories for TT. Can You Hear the Wind Blow’s unmistakable opening riff and Still of the Night-esqu chorus will grab you by the balls but fear not, Whitesnake wouldn’t want to castrate you….. before the albums finished at least. Lay Down Your Love is one of the best live songs you’ll hear in an arena. The bands classic Ain’t No Love In The Heart of the City will have to make room for this little slice of power rock. The bluesy guitars, the riffs, the infectious, unforgiving chorus will all thrust themselves upon you with force. As for the tracks they didn’t put in the set list, there’s no shortage of material to love. Call On Me (Not that one) and Got What You Need are swaggering, balls out rock classics. All For Love is a guitar driven anthem and it’s just laced with Whitesnake’s classic pop perfection. All I Want All I Need is a hark back to the Is This Love Sound while Summer Rain and Till the End of Time are soft, melodic acoustic numbers. Till The End of Time in particular is a stand out. Last but not least, A Fool In Love is bluegrass hard arena rock. Built on a tasty blues riff, this one should be played at every show the band do in the future. Coverdale’s voice and Doug Aldrich’s guitars are just so captivating, you’re willing to believe anything they want to sell ya and you won’t be disappointed. Maybe Leppard owned the world of arena rock in 2008 but honestly, Good to be Bad is the real winner. Leppard’s Songs From The Sparkle Lounge was a massive improvement after the Lepp’s let poppy, no joy song writing destroy several of their previous albums but GTBB just skyrocketed Whitesnake back into the hearts of their fans and, as Tickets There can attest to, brought them in some new ones aswell. If you haven’t heard it, we can only say you won’t be disappointed if you pop over to ITunes now and grab it. This entry was posted on February 16, 2010 at 5:34 pm and is filed under Album Review, Music, Tickets There Likes: with tags Bad Boys, Good to be bad reviews, Still of the night, Whitesnake, Whitesnake all for love, Whitesnake Best years, Whitesnake can you hear the wind blow, Whitesnake deadly, Whitesnake Good to be Bad, Whitesnake Good to be bad reviews, Whitesnake lay down your love, Whitesnake reviews. You can follow any responses to this entry through the RSS 2.0 feed. You can leave a response, or trackback from your own site.